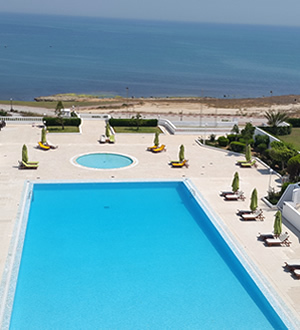 Le Palace Hotel is perfectly located on the hills of Gammarth hill bordering the Mediterranean Sea and overlooking the Golf of Tunis. The hotel, which is one of the best hotels in the country, is the symbol of a true art of living in Tunisia. 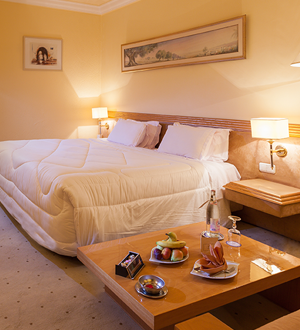 Located just about 20 minutes from Tunis Carthage International Airport and downtown, Le Palace Hotel is well placed for both leisure and business travellers. 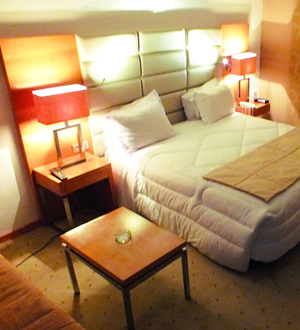 Its 239 rooms and 44 suites, its conference centre with 09 meeting rooms of various capacities, restaurants and bar are designed for business or pleasure in the greatest tradition of luxury and elegance. 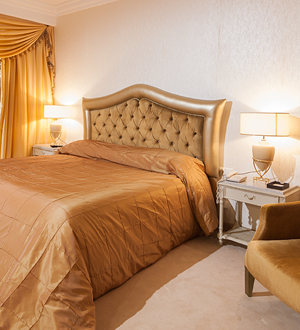 Featuring two luxurious and spacious bedrooms, each has jacuzzi bathroom, a lounge with stunning sea views. 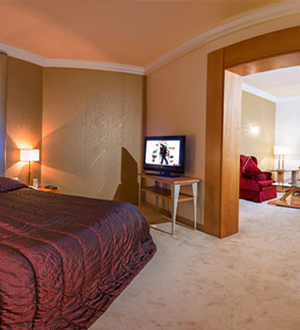 You will be amazed by the brightness of this spacious and elegant suite plus the luxurious fully marble bathroom. Features a lounge area for meetings and private conversations in there to benefit from customised and personalised service. Morning buffet breakfast is included, with complimentary daily newspapers. 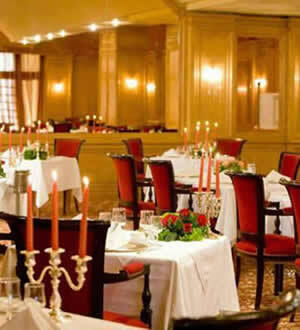 In the evening, private and exclusive lounge is available, where guest can receive their guests. 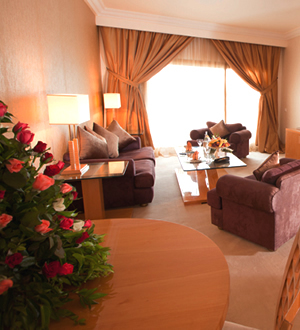 The suite features 2 separate bedrooms, living room, dining room and 2 bathrooms with 3 plasma TV and 04 direct phones. The hotel’s Bar “Taroub” offers total relaxation with its casual card in lush green surroundings, where you can enjoy refreshments at the sound of a “live” music. For aquatic pleasures, hotel the palace offers generously THREE pools, two of which are located outside. The central pool (400 m² area) will seduce you by its location at the heart of the hotel, the pool is shallow to reassure the safety of your children. The indoor pool is open from 9:00 to 19:00; it is heated from the month of November to March. 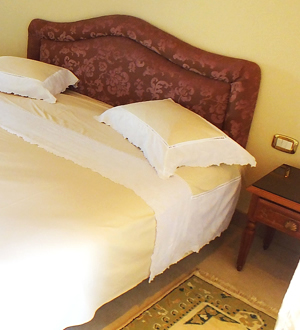 Hotel THE PALACE offers Spa treatment for your well-being and total relaxation. Enjoy a step back in time at a Spa dedicated to the pleasure of the senses and emotions. 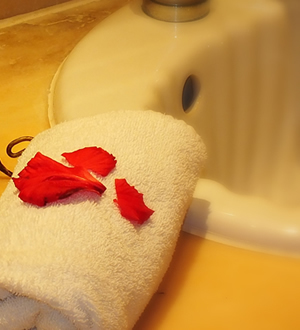 Their exceptional facilities invite you to a privileged discovery of luxurious spa and beauty centres.